It’s back to school time! Even though I graduated last year, I still get a twinge of nostalgia when September rolls around. Buying new school supplies was my favorite part of going back to school. 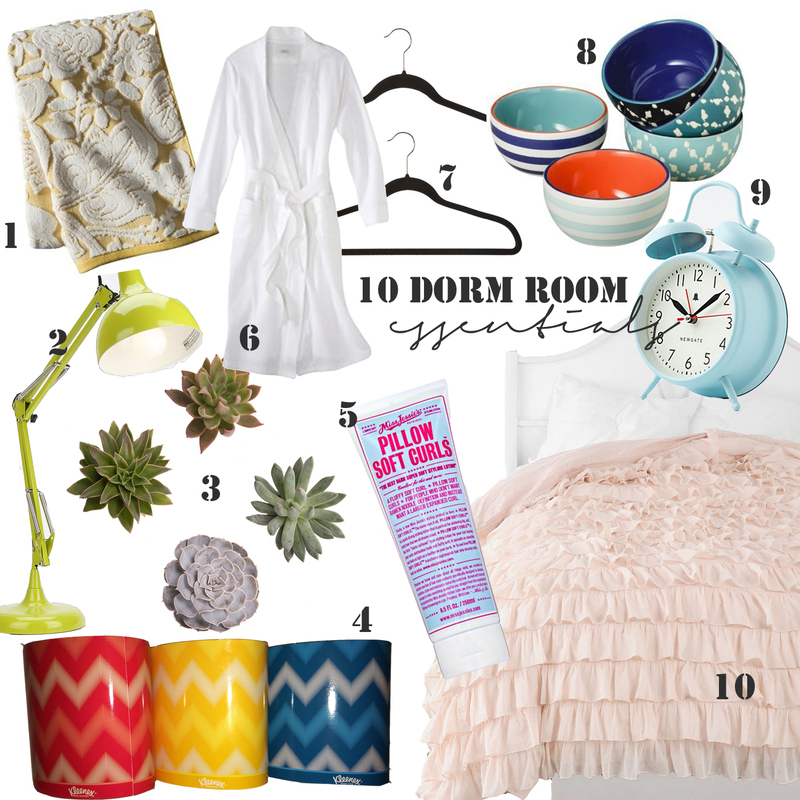 I’ve rounded up my top ten dorm room essentials, so you’ll be sittin’ pretty no matter if it’s your first year or you’re a seasoned senior! One of the most important things a gal needs in her dorm room is cozy towels. These ones from Target would be the perfect addition. For those late night study seshes, pick up this cute lamp from Urban Outfitters. It comes in 4 colors to brighten up your desk! Pick up one of these adorable succulent gardens to add some life to your dreary dorm. Sometimes it can be easy to forget the most obvious things. 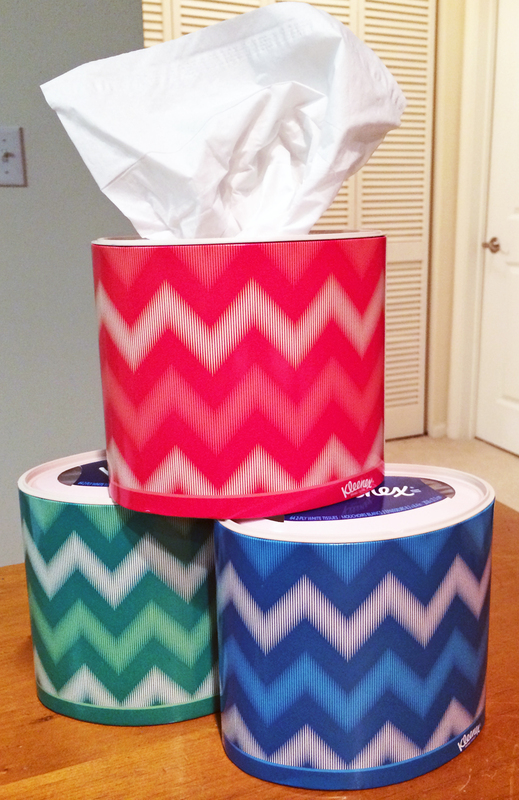 These cute chevron-printed Kleenex (sold exclusively at Walmart) boxes are a no-brainer! Get good hair while you sleep. Miss Jessie’s Pillow Soft Curls hair cream creates dreamy, voluminous curls (so no more Ramen noodle coils). Get this robe for an ultra-cozy stroll to the showers. Create a uniform closet by getting slim, matching hangers. Chances are, you’ll be eating a lot of microwaveable meals. These bowls are microwave safe and so adorable. 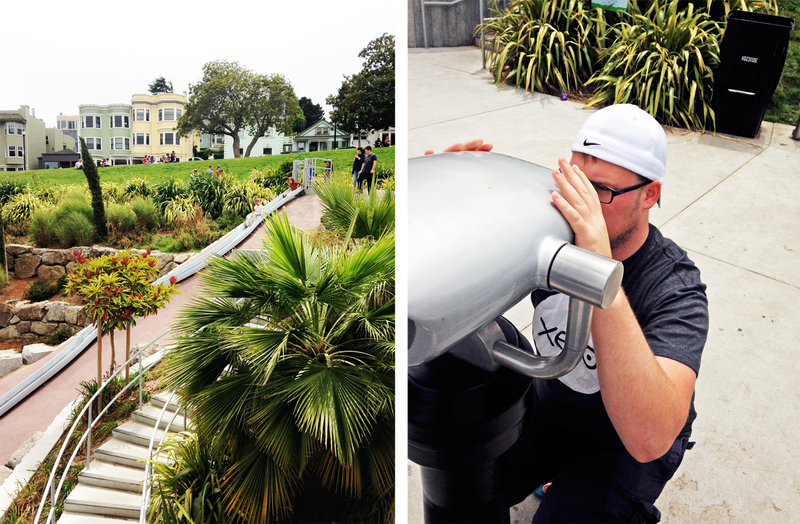 No more skipping your morning classes with this alarm clock! Last, but certainly not least, having cozy bedding is of the utmost importance. I can’t get enough of these dreamy ruffles from Urban Outfitters. I’ve already added these cuties to my apartment (a girl can pretend!). What are some of your back-to-school must-haves? This post was sponsored by Kleenex + Walmart. All opinions expressed are my own. Hey gals! 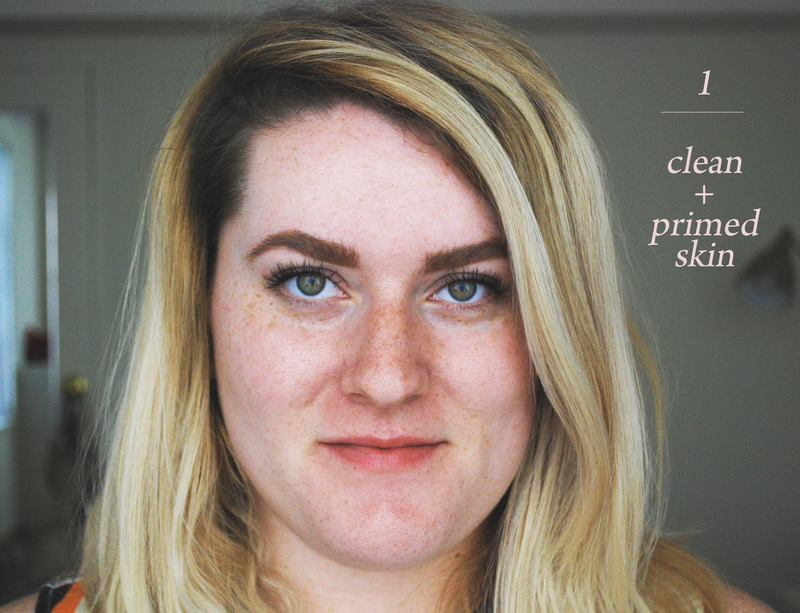 Here’s a really simple trick to a flawless mascara application. Instead of looking directly into a mirror at eye level, try this instead: hold a hand mirror underneath your chin and look down into it. This trick allows you to get mascara deep into the roots of your eyelashes without smearing it all over your eyelids. It also helps to fan out your lashes and hold the curl better. Try this trick and let me know what you think! P.S. The real scoop on mascara. Gals, I needed to share this book with you and couldn’t wait another second. #GIRLBOSS by Sophia Amoruso is one of the most inspiring books I’ve ever read. 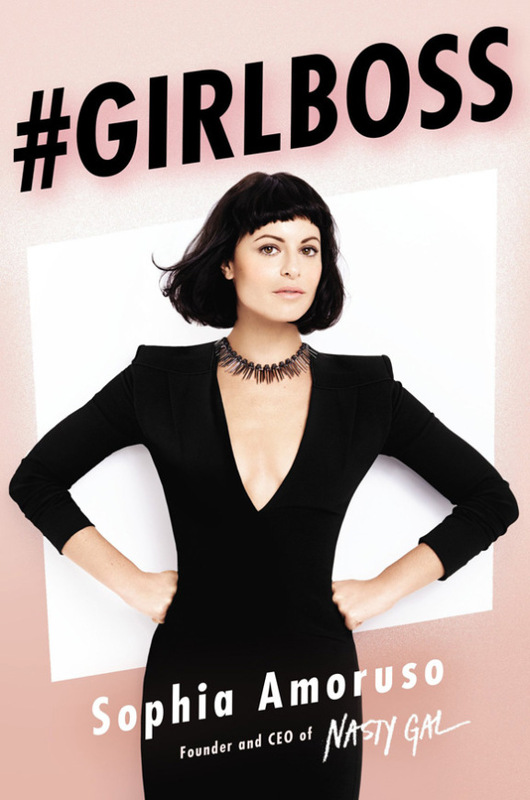 Before her 30th birthday, Sophia Amoruso built Nasty Gal, a multi-million dollar clothing company, from the ground up. This book is for intelligent, curious girls who maybe feel like their dreams and a practical career don’t mesh. 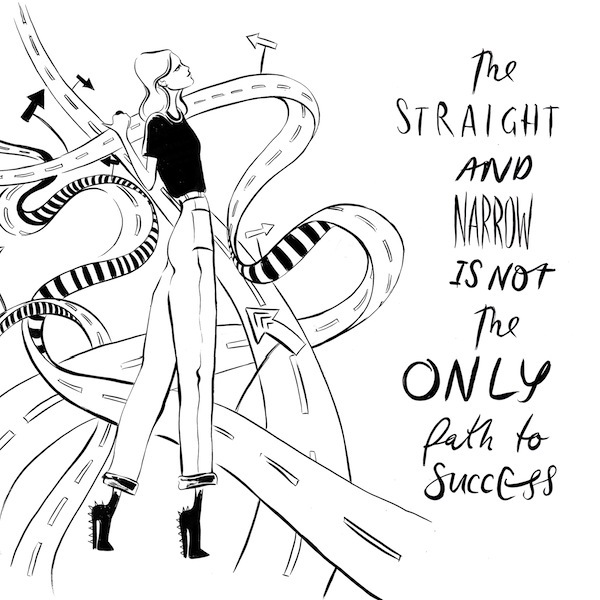 Becoming a #GIRLBOSS isn’t easy, though, and she makes that quite clear in the story of her journey. But Sophia wasn’t afraid of a little hard work (and neither am I!). 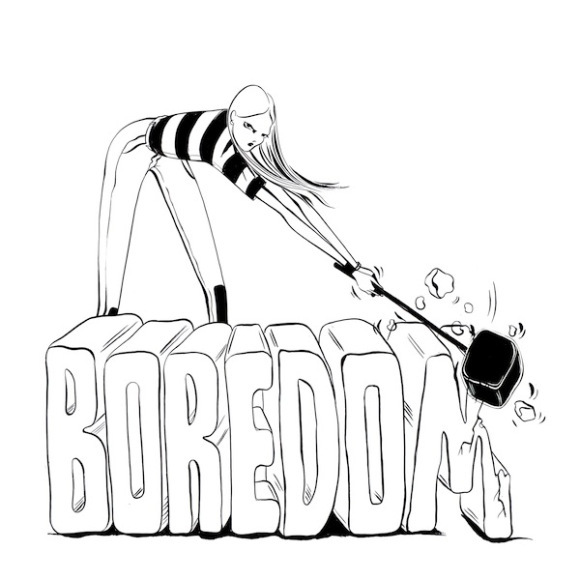 Our twenties are an incredibly tumultuous time and it can be difficult to see an end result through all the life changes. Sophia built a multi-million dollar company from an eBay store and a pile vintage clothing. And that #GIRLBOSS worked. After reading her book, Sophia makes me feel like I can be a #GIRLBOSS, too. Through every boring, mind-numbing job, through every failure, there is always a reason to get back up. 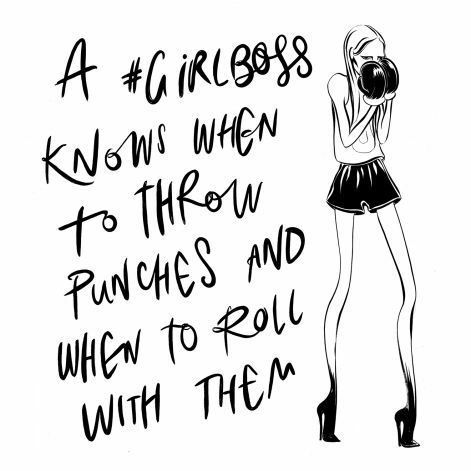 So go get ’em, #GIRLBOSSES. 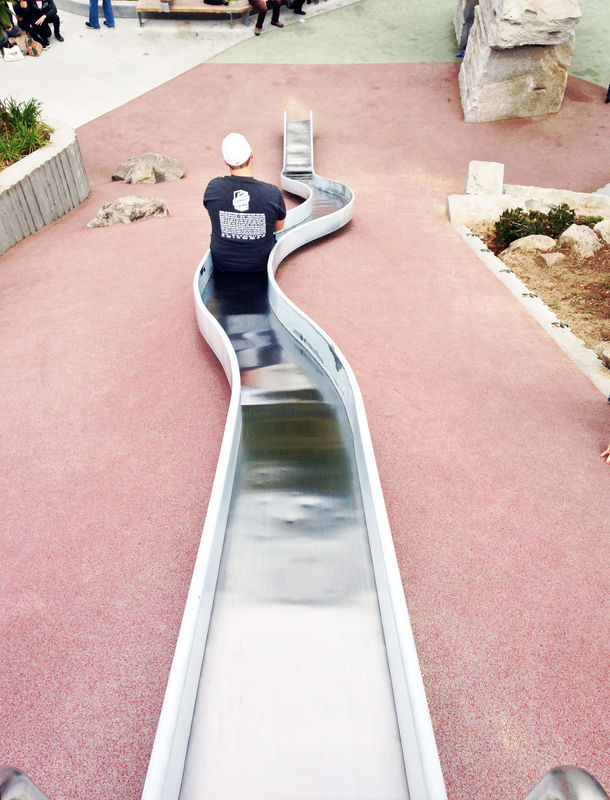 Grab life, work HARD, and don’t let go. 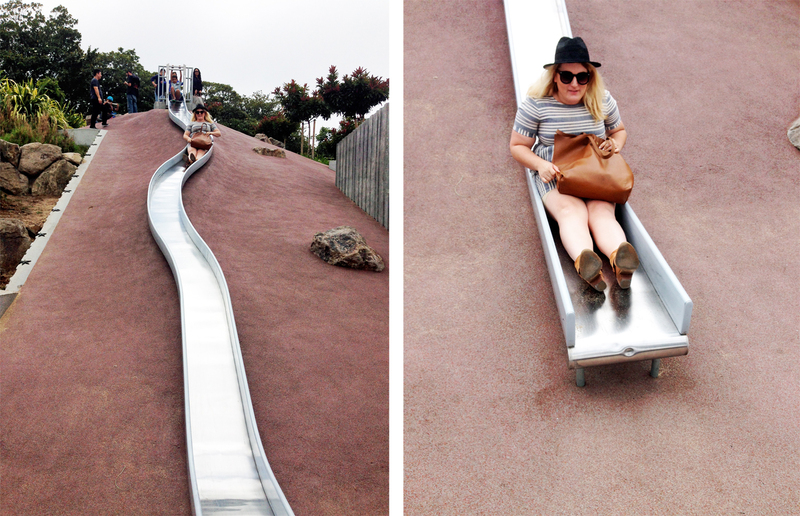 Thank you, Sophia, for sharing your story and brutally honest career advice. 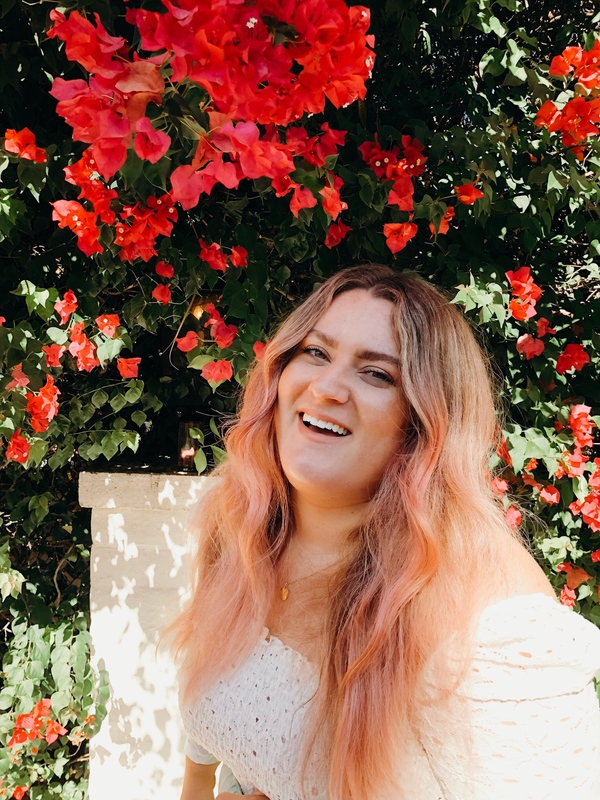 You’ve inspired me and many other brand-new #GIRLBOSSES to stop working at menial jobs, explore our entrepreneurial dreams and live our most genuine lives. Start with clean and primed skin. I like to use Pixi Flawless & Poreless Primer or Smashbox Photo Finish to prime my skin. 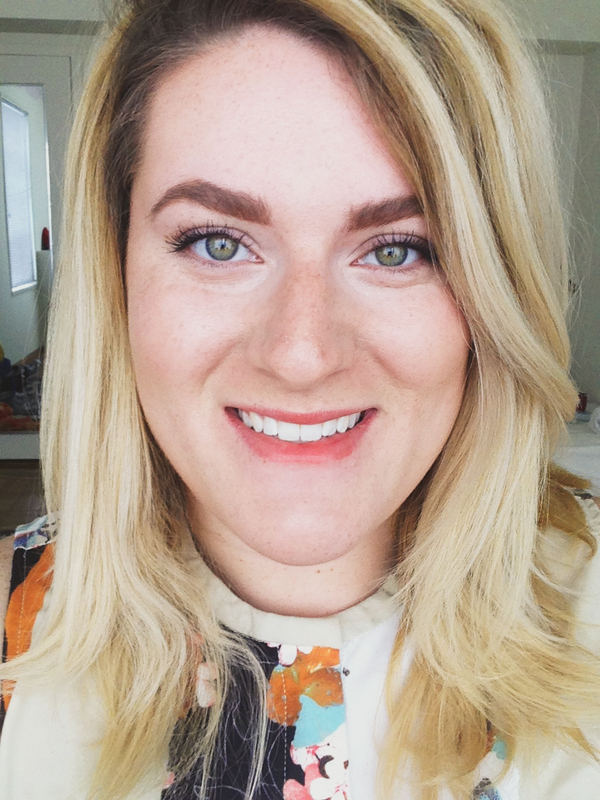 My new go-to foundation is bareMinerals bareSkin. You only need a few drops to cover your entire face and it looks really pretty and natural. 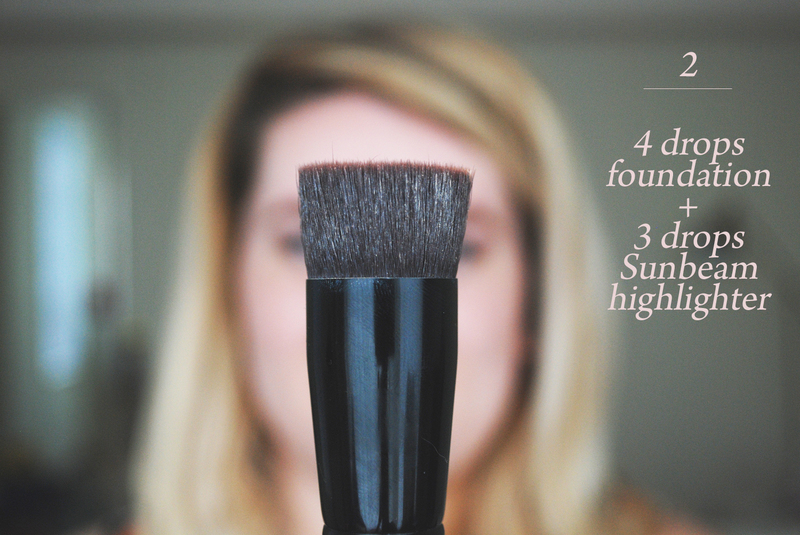 Place 4 drops bareSkin foundation and 3 drops of Benefit Sun Beam in the well of the bareMinerals Perfecting Face Brush. 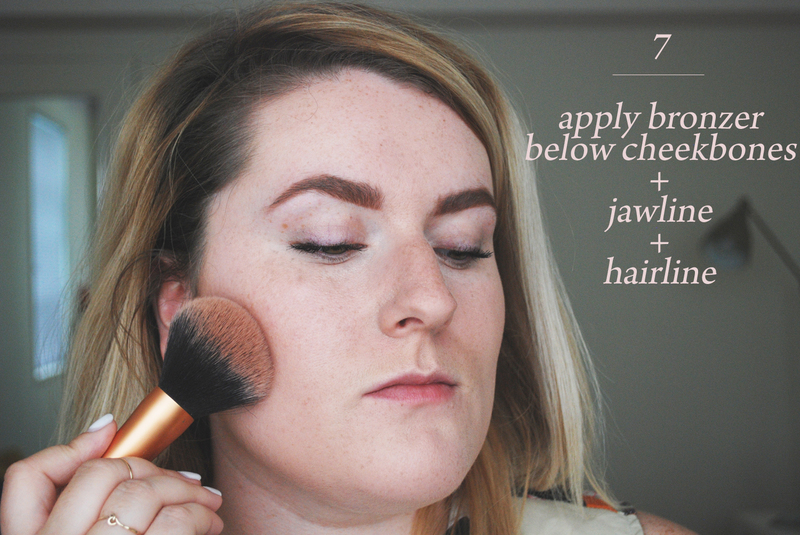 Swirl the brush on your cheek to mix the foundation and highlighter together. 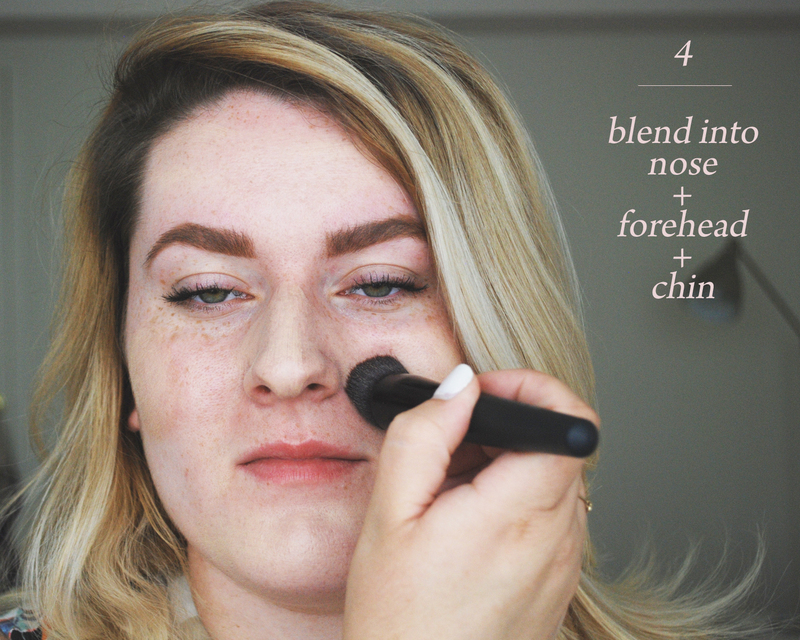 Blend the mixture into cheeks, nose, forehead, and chin. Make sure to blend under your jawline and down your neck as well. 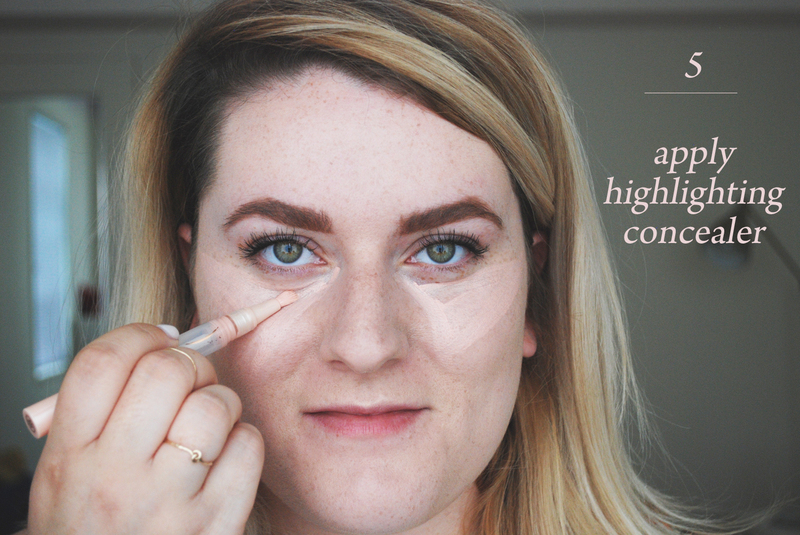 Apply highlighting concealer underneath eyes in a triangle shape, bringing the concealer onto the tops of your cheekbones. 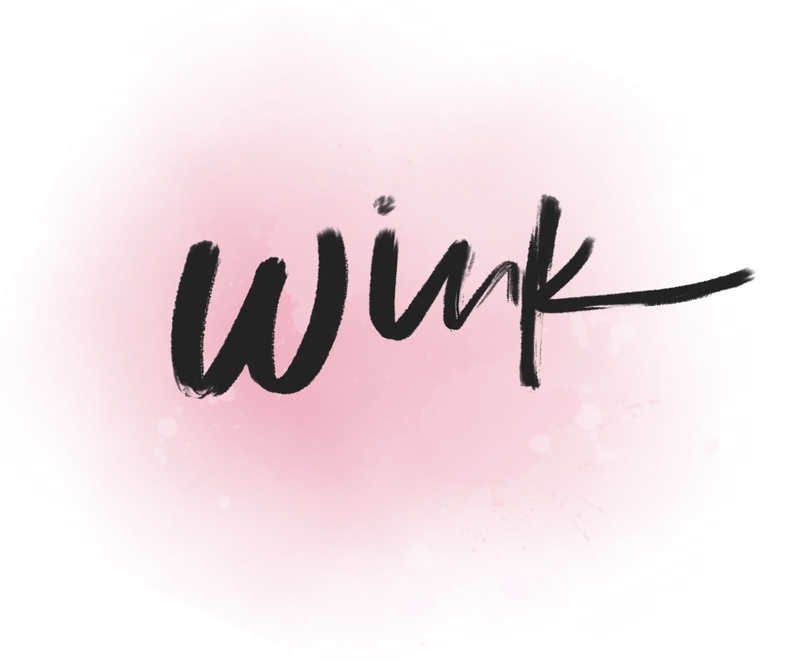 Blend well with your ring finger, making sure to blend into the inner corners of your eyes and eyelids. 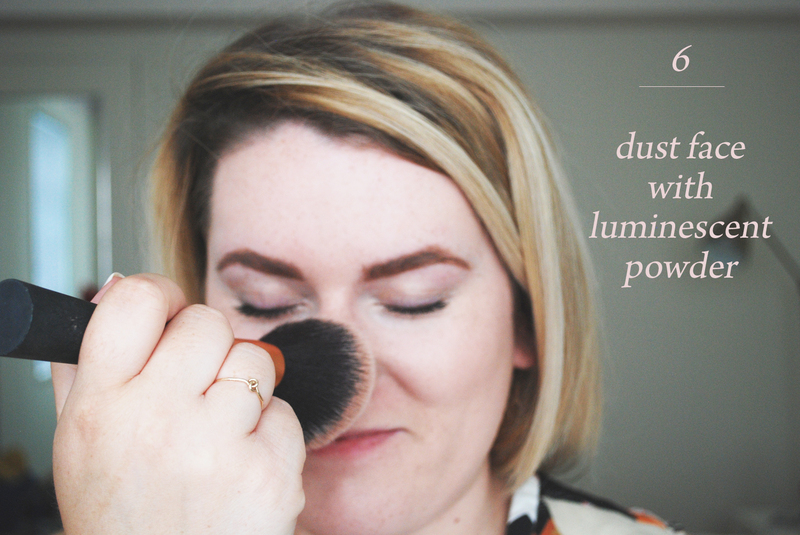 Using a large, fluffy brush, dust a luminescent powder onto your skin. My all-time favorite is Hourglass Ambient Lighting Powder in Dim Light. It blurs all imperfections and makes you look like you’re lit from within. 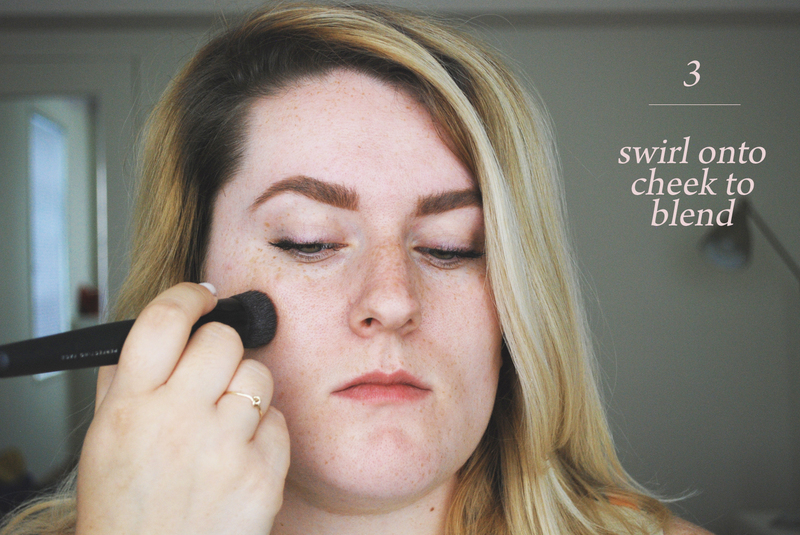 Using the same brush, apply a shimmery bronzer (yep, I like to use shimmery bronzers for a glowy look) in the hollows of your cheeks under your cheekbones, to your temples and hairline, and underneath your jawline. 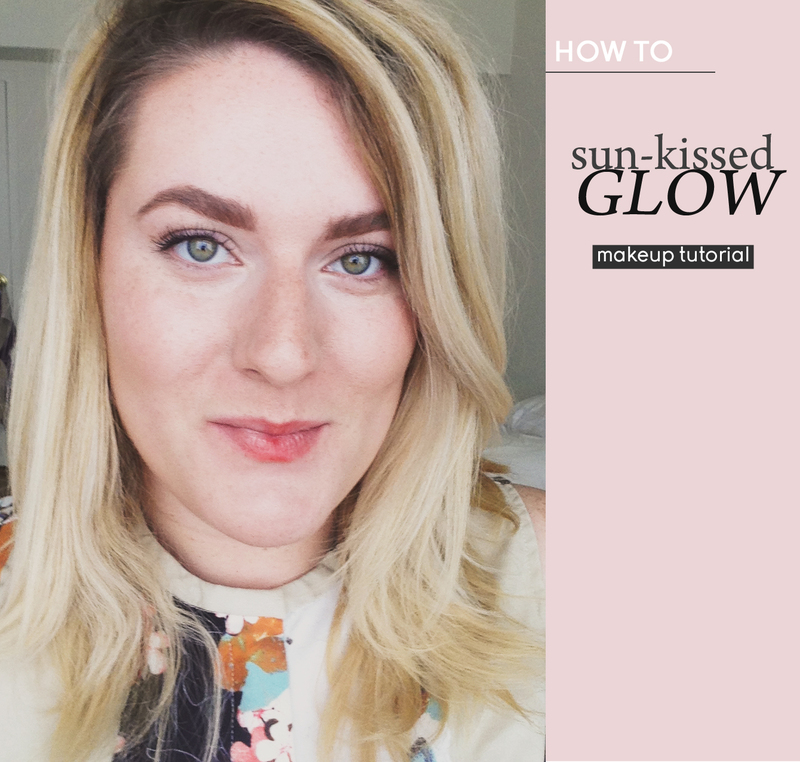 Try to avoid a heavy-handed application – the point of this tutorial is to look naturally sun-kissed! You can even dust a tiny bit on the bridge of your nose and browbones. 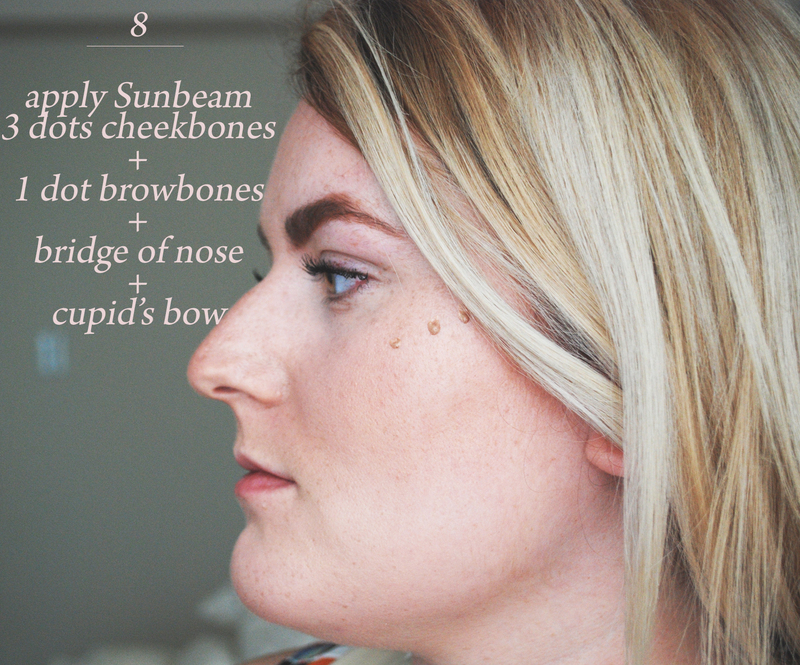 Lastly, place 3 dots of Sun Beam highlighter on your cheekbones, 1 dot on each browbone, down the bridge of your nose, and your cupid’s bow. Blend with your fingers. And just like that, you’re done! I finished off my look with Benefit Brow Zings in Light, Benefit Gimme Brow in Light/Medium, Maybelline Full ‘N Soft Mascara , and Benefit Cha Cha Tint lip stain. 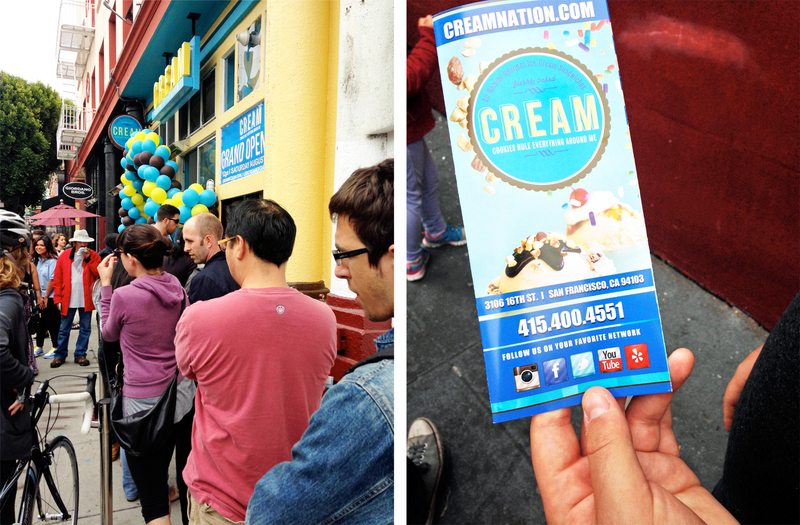 On Saturday, Sawyer and I went to the grand opening of CREAM (Cookies Rule Everything Around Me) in the Mission because they were giving away free ice cream sandwiches! 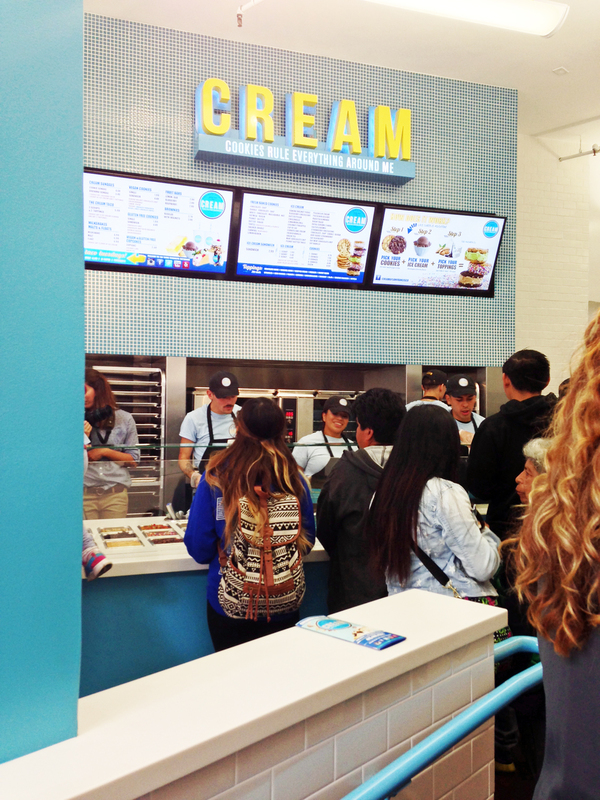 When we got there, the line was wrapped around the block. It moved quickly, though, and we only ended up waiting about 20 minutes. 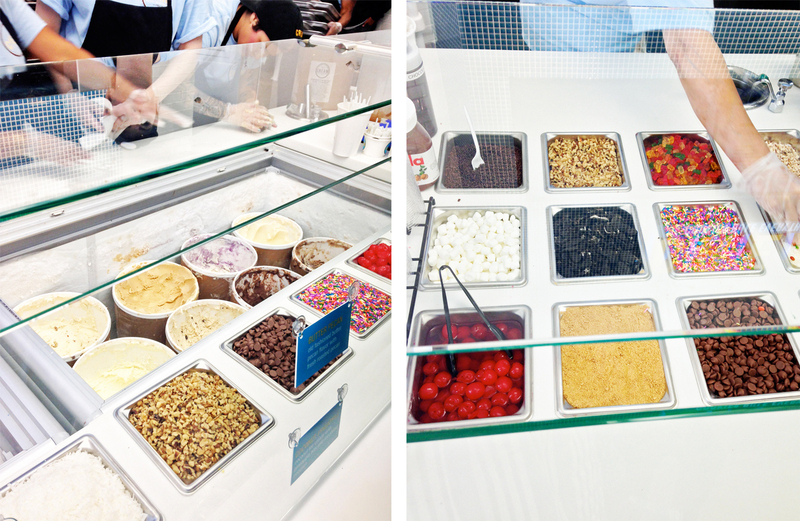 They were so yummy and it was so worth the wait! 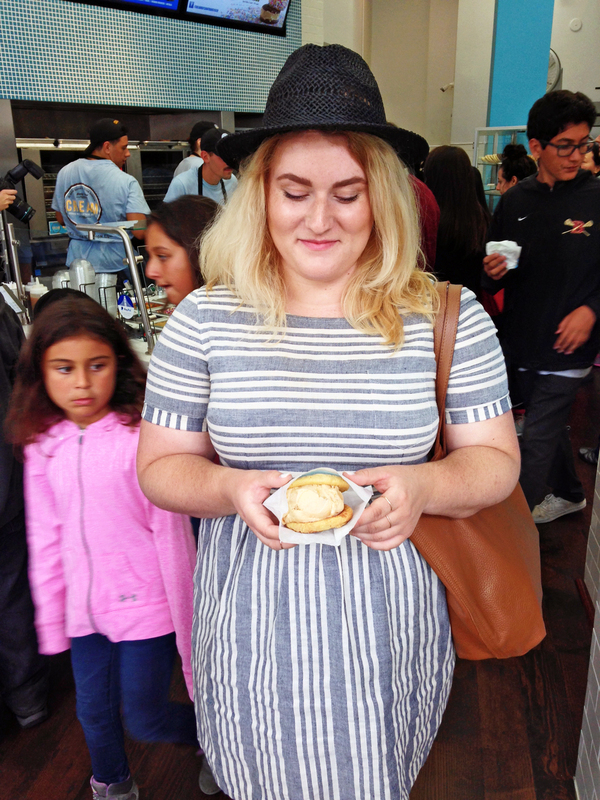 That girl WANTED my ice cream sandwich… you can see it in her eyes. 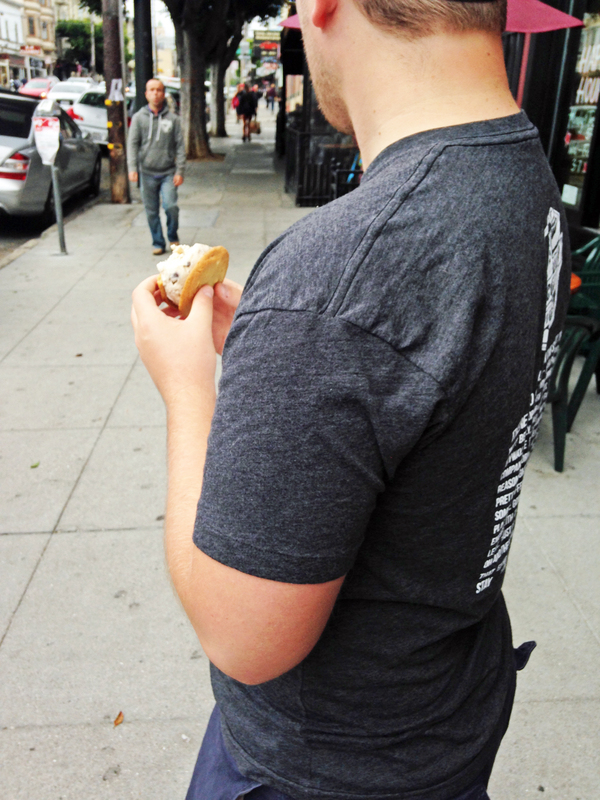 Sawyer got white chocolate macadamia nut cookies with cookie dough ice cream. 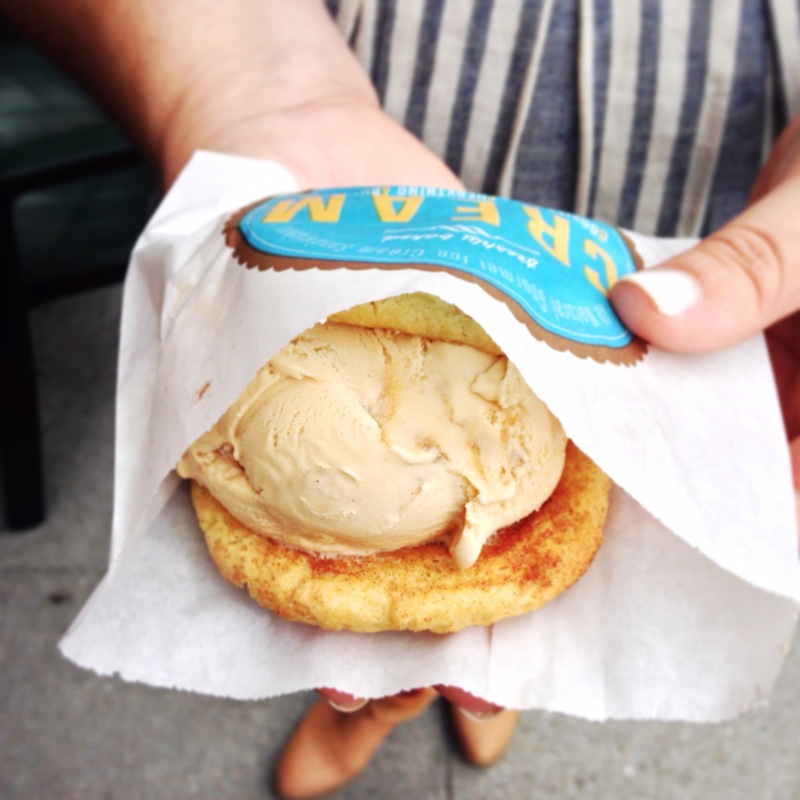 I chose one butter sugar and one snickerdoodle with cinnamon chill ice cream. 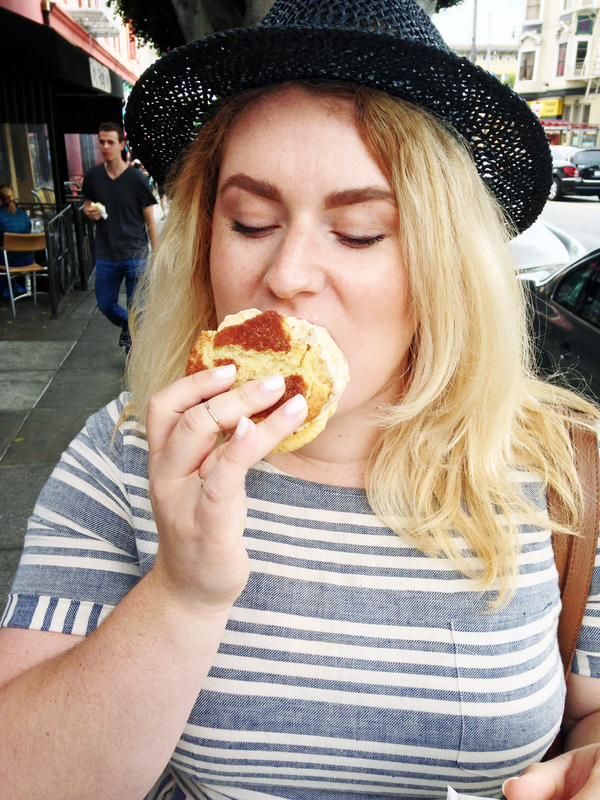 After we ate our ice cream sandwiches, we stopped next door at the Pork Store Cafe for some burgers (we ate our dessert first, because hello!). 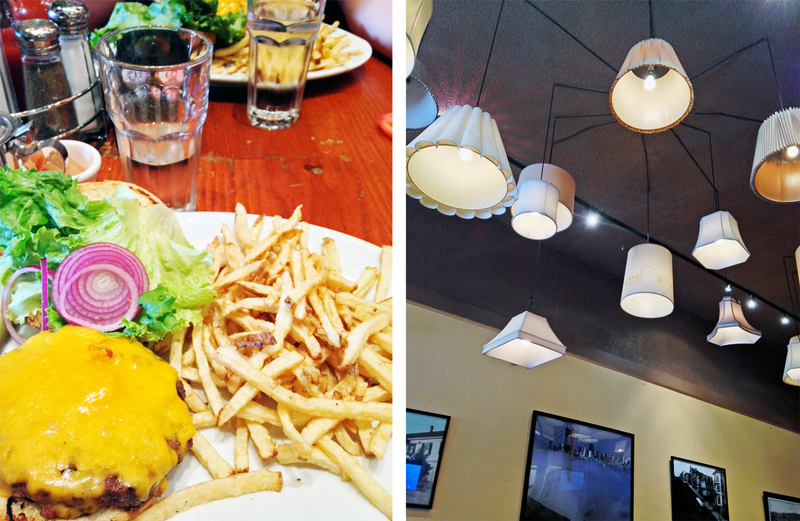 It was probably the best burger we’ve had so far in the city and we were pleasantly surprised. Also, those fries were handcut! 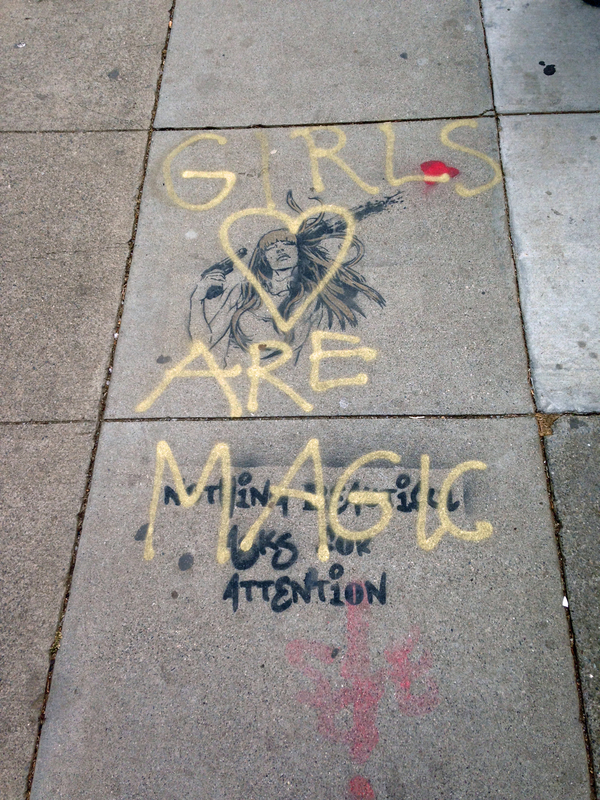 Some very insightful sidewalk graffiti. 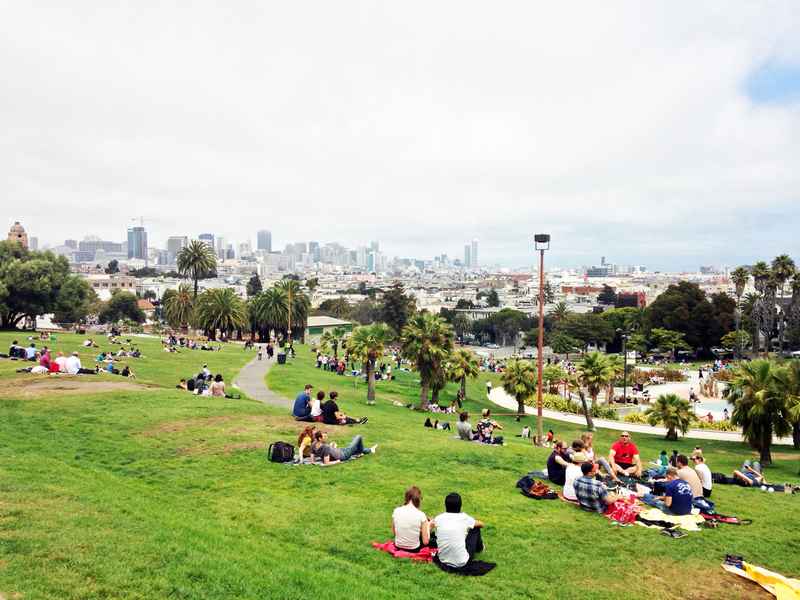 After lunch we walked over a few blocks to Dolores Park. It was a bit foggy but we still took in some incredible views.